We all like to think we have got to grips with saving money when we shop online. We take the time to shop around for a good deal, and 60% of us will search for a discount code or voucher online before checking out. However, advanced money saving goes much further than this. Research by online marketplace Flubit.com has uncovered seven clever money-saving hacks that should secure a much bigger saving. Some 40% of people do this, and it's always worth having a look. People often sell on nearly new items and unwanted presents, and you can even get an item that's brand new, with the tags, for half the price it would cost in the shops. If you want to buy something from a specific brand, it's always worth signing up to its online newsletter. In some instances, you will get a one-off discount of up to 20% off just for handing over your name and email address. In other cases, you will have discount deals regularly emailed to you. Some 35% of people use this approach. Just over a third of people do this, and it's a great idea. There are plenty around, including Hotukdeals.com and Latestdeals.com, where users draw attention to great bargains, discounts and freebies. These are more useful if you can time your purchase for when they highlight a deal, but even if you have to buy instantly, they are worth a look. Some 13% of people check with family members and friends, to see if they can get a student discount before buying. As we reported recently, you may even be able to get an NUS card yourself, in order to secure some significant discounts - without necessarily having to study anything. This approach is only employed by 8% of people, but it can be very effective. You will usually have more luck if you are asking them to match a price elsewhere rather than necessarily beating it, and if you can make it clear that you will become a loyal and regular customer, but it's always worth giving it a go anyway. This is only tried by 6% of people, but can bear fruit. Just visit the Facebook page, and send a message to the company's social media team. Often they will have vouchers and discounts at their disposal, which can be yours for the asking. 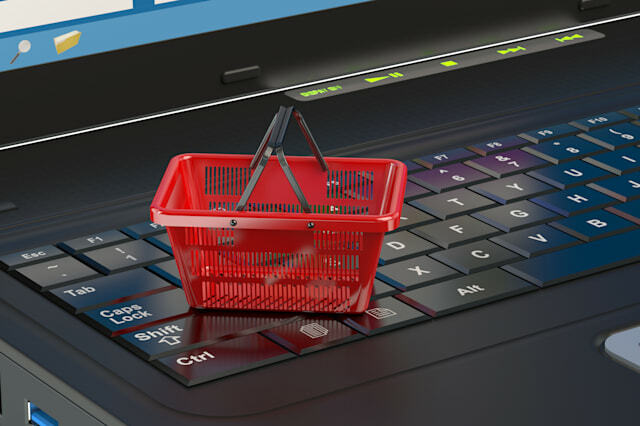 Flubit spokesperson Tia Saunders said: "The rise of online shopping has given customers better choice, placing more power in their hands, while social media has rightly given them a louder voice." Only 4% of people use this approach, but if you have had a bad experience, then send a letter, and there's every chance you will receive vouchers in return. In fact, it doesn't even have to be a letter of complaint. Dedicated bargain hunters will send letters extolling the virtues of the product, recipes incorporating the brand, and photos of them using it, and will be rewarded with money off. This takes time, but once you know the cost of a phone call, putting the dryer on, or a bag of potatoes, it enables you to judge far better how much you can afford to consume. Once you know the base price, you are in a position to keep your eyes open for a better offer. If you see a discount you can judge for yourself whether it actually constitutes a bargain. For bigger things like utilities it enables you to do a proper price comparison and see if you can cut your bills. Don't just assume that the premium range is better, try the every-day brand, or even the basic version and see if you spot the difference. Likewise, consider trading down your supermarket from one of the big players to local markets or discounters like Aldi. If you plan what you buy to match what you actually cook and eat then not only will you be able to budget far more effectively, but you'll also waste much less and find your money goes further without you having to try. If you can't think of a way to get your meat for less, consider a vegetarian day once a week. If you can't find petrol any cheaper, then work on making your driving as efficient as possible. The more you can think of clever alternatives the less you will have to make painful cuts to make ends meet.